Chad is a landlocked country in Central Africa. The French began to establish their authority over Chad in 1890s through military expeditions. The decisive colonial battle for the territory was fought in 1990. The Battle of Kousséri resulted in the decisive French victory. Originally, Chad was part of French Equatorial Africa. It was given a separate colonial status in 1920. During World War II, Chad was the first French colony to support Free French Forces led by Charles de Gaulle rather than the Vichy government. After the war, Chad was granted the right to elect an assembly with limited powers. The first political parties began to emerge. In 1946, Chad was designated overseas territory of France. In 1958, it became an autonomous republic within the French Community. Finally, on August 11, 1960, Chad became a fully independent state. 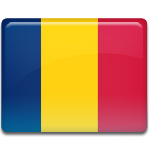 Chad Independence Day is widely celebrated throughout the country. It is marked with festive activities and events such as public speeches, street parades, open-air concerts, traditional dances and associate football games.